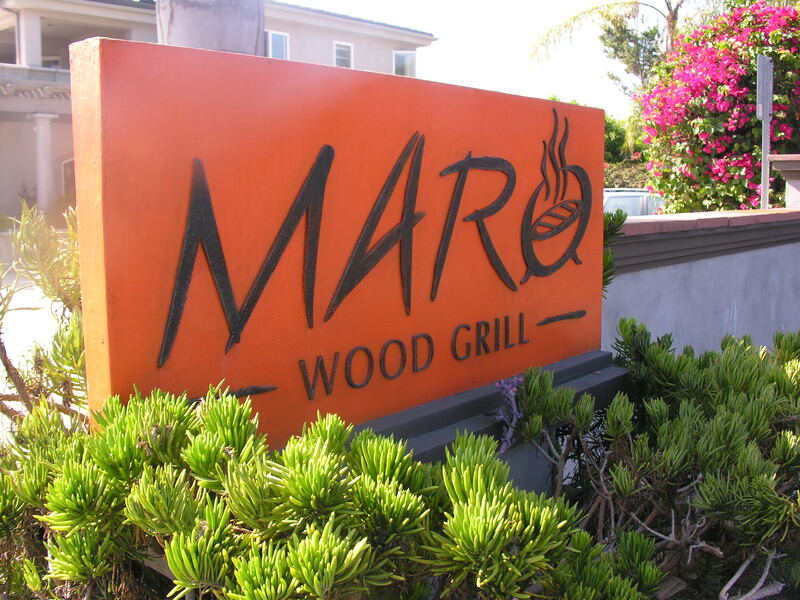 Laguna Beach(Perfect Meal Today)9/29/16/–As a follow up to my previous review, I am checking in with the perfectmealtoday.com readers to tell you about the awesome experience I had at Maro’s Wood Grill last night. 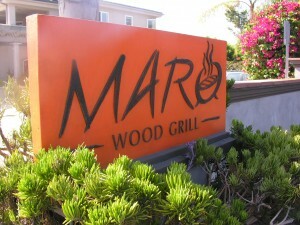 (To read my initial review of Maro’s Wood Grill, go to: perfectmealtoday.com, type Kay Schroeder in the search field. 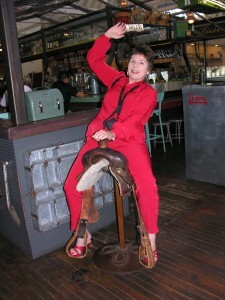 The article is listed under “Annual Benefit For The AIDS Service Organizations, Dine Out For Life OC”). Luck seemed to be with me Tuesday night as I was able to get a parking place directly in front of Maro’s Restaurant (not an easy feat to be able to park directly in front of any restaurant on South Coast Highway in Laguna Beach). This quaint, friendly Argentinean-style steak house proved to be the perfect place to go, whether you were looking for a full dinner, or only a few small plates. However, while perusing the menu I was soon presented with a dilemma, whether to order the tempting Rack of Lamb entrée, or opt for Maro’s signature items: Empanadas and Chimichurri Sauce. Alas, another factor muddied the equation, being a Texan, how could I pass up the Wood Grilled Okra? I knew I didn’t have room for all of these eye-popping items so I did what any sagacious diner would do; I ordered a bottle of Maro’s ever-so-good Malbec to help me in the decision making process. That wise decision yielded a Spinach Empanada, Beef Empanada and the requisite Wood Grilled Okra. With that daunting task behind me, the hand-crafted empanadas were as beautiful as they were delectable. The special pairing of Horseradish Aioli and burnt lemon added a surprising twist, suggesting that okra is not just for gumbo any more. Truthfully, the highlight of my evening was the chimichurri sauce. It was bursting with flavor and served as the perfect accompaniment to the empanadas. 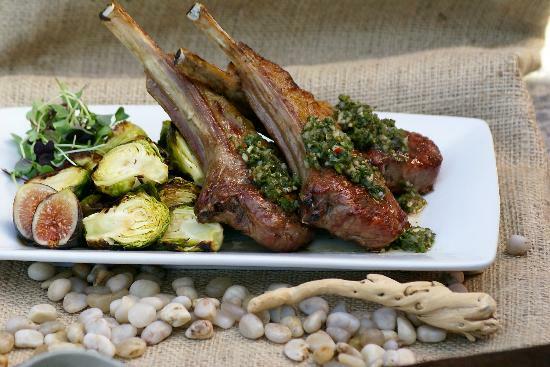 Thankfully, Chef Debra generously agreed to share the recipe for her absolutely awesome Chimichurri Sauce, used exclusively at Maro’s Wood Grill. 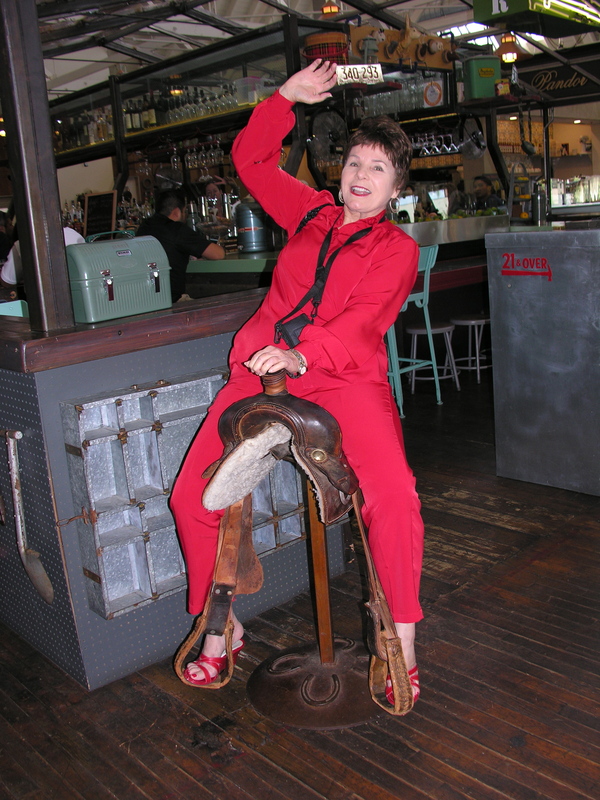 (By the way, Chef Debra is very willing to share her expertise about food with you and I am convinced that you will instantly develop a personal fondness and rapport with her). Combine water and Sonoma Sea Salt (SALMUERA) Heat until salt is dissolved. Chill completely. Combine minced organic Parsley, Oregano, Garlic, Red Onions, Aji Molido, Vinegars and Oil. Add cooled SALMUERA. Chill for at least 2 hours. Will keep for up to two weeks. 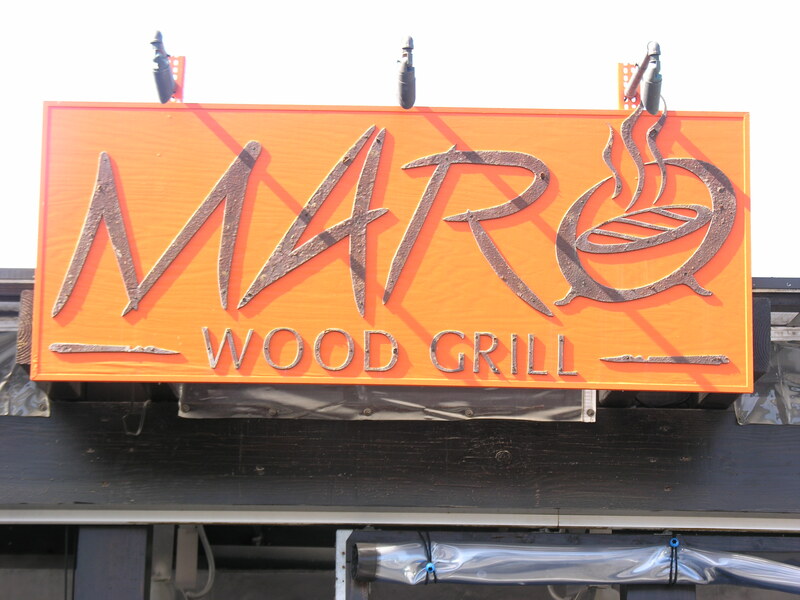 As you can see by the recipe, Maro’s uses organic everything, consistent with their motto and mission of using sustainable, recyclable, and clean food. 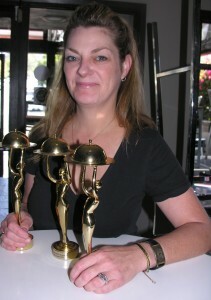 Kudos to Chef Debra Sims and her staff who for six years have continued to turn out exciting, innovative, creative and delightful appetizer and entrée foods – every time with a refreshing and fun twist. 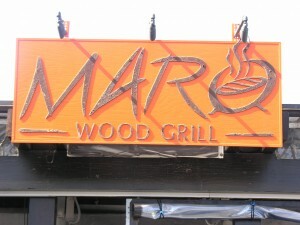 I am already planning my next visit to Maro’s Wood Grill.